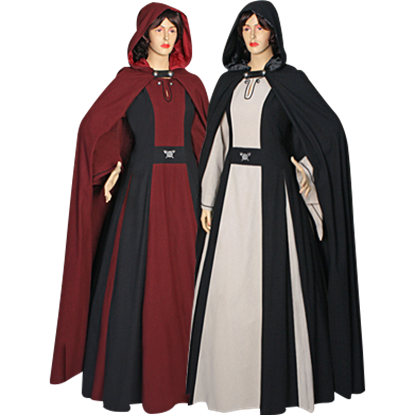 The Brown Medieval Maiden Hooded Dress is made from 100% cotton with ornament trim on the front. 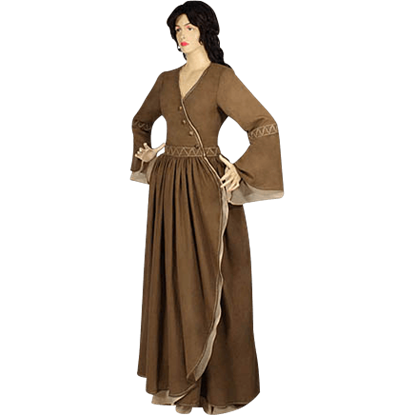 The Brown Medieval Maiden Hooded Dress is a one piece dress that closes with lace in the back. This dress is, all at once, noble yet conservative. 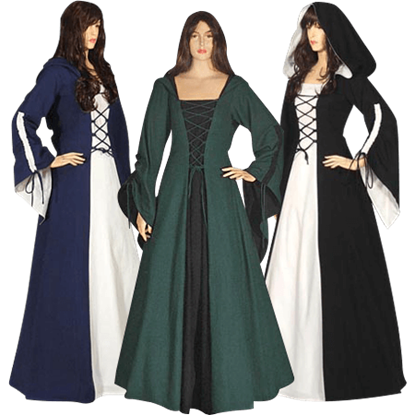 The design of the Medieval Demoiselle Dress is extraordinarily in appearance. The use of high-quality fabrics takes the simple design of this dress and makes it extremely stylish. 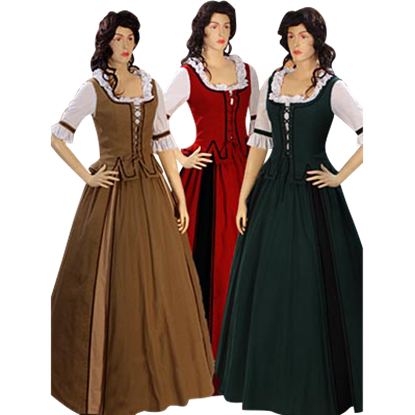 The Woodland Peasant Dress is made of 100 percent cotton and is closed with laces in the back. 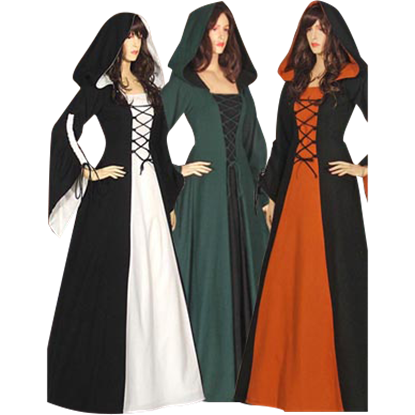 The Woodland Peasant Dress comes in a variety of colors to choose from and is offered in standard sizes small through 3XL and can be custom made to your measurements. 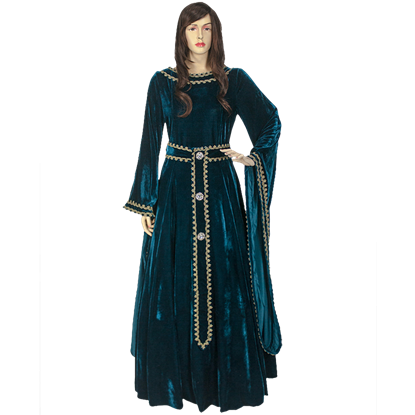 Handmade with care from crushed velvet, the Medieval Alvina Dress features an elegant luster decorated with golden lace trim around its round neckline, included belt, and along the hems of its luxurious, floor length sleeves. 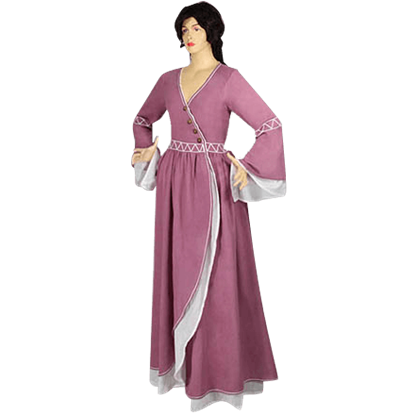 No matter your role in your chosen realm of fantasy or history, the Classic Peasant Dress will have you stylishly attired. 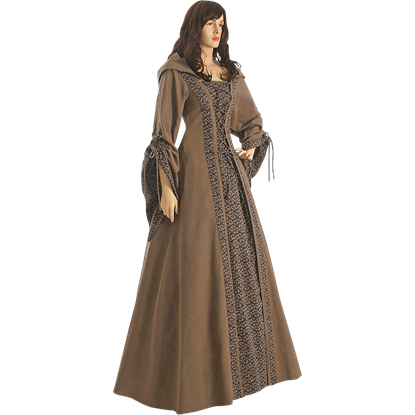 This cotton gown has a classic medieval style with bell sleeves, a square neckline, and a lace-up bodice. 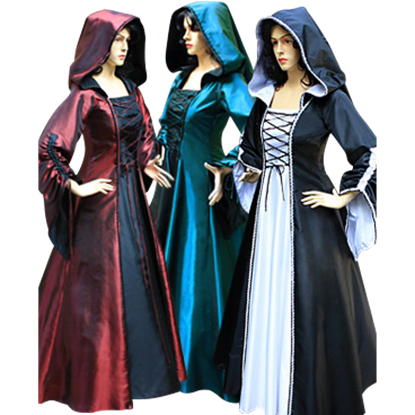 The Classic Medieval Maiden Dress is a beautiful, bi-colored dress that will successfully transform any modern-day woman into a beautiful medieval maiden. 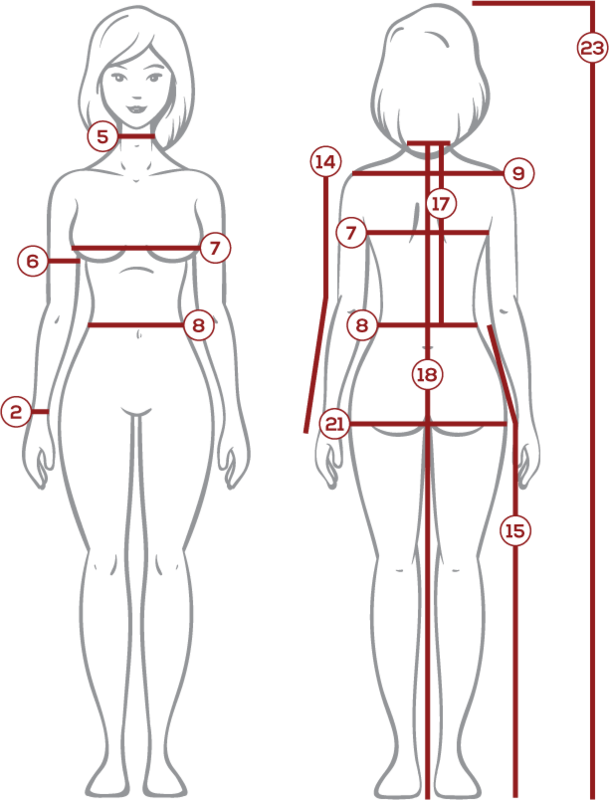 The dress is made from natural woven cotton and is extremely adjustable. 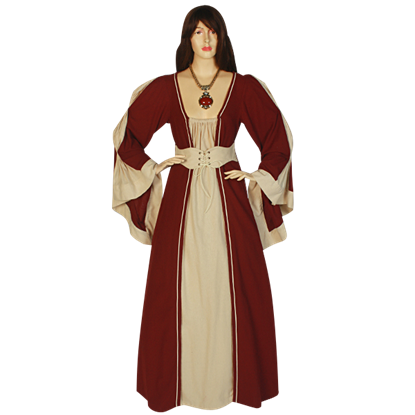 Possessed of elegant features and a reserved design, the Rustic Medieval Dress is one that inspires beauty without any of the decorative touches often associated with nobility. The Lightweight Castle Dress is a handmade medieval-inspired gown crafted for effortless elegance and comfort. 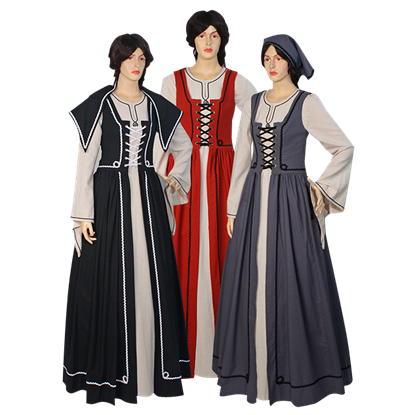 This fully lined historic dress is made from 100% soft and breathable muslin cotton, commonly used for chemises. 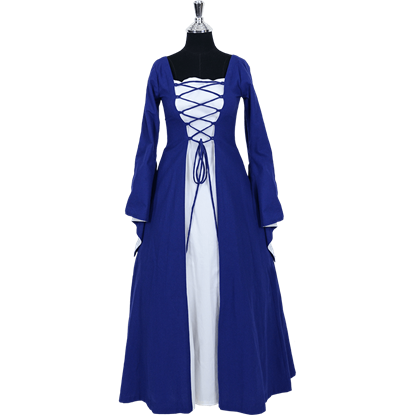 There is no better dress to wear around the castle and its grounds then the Lady's Casual Castle Dress. It is simple, elegant, and comfortable, and it is a great choice for those occasions that do not require an elaborate appearance.